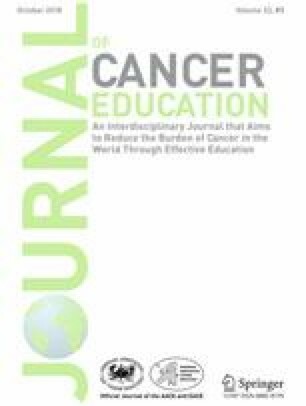 This study is the first to evaluate the existence and quality of patient-related cancer rehabilitation content on the websites of National Cancer Institute (NCI)-Designated Cancer Centers. In 2016, a team of cancer rehabilitation physicians (physiatrists) conducted an analysis of the patient-related rehabilitation content on the websites of all NCI-Designated Cancer Centers that provide clinical care (N = 62 of 69). The main outcome measures included qualitative rating of the ease of locating descriptions of cancer rehabilitation services on each website, followed by quantitative rating of the quality of the cancer rehabilitation descriptions found. More than 90% of NCI-Designated Cancer Centers providing clinical care did not have an easily identifiable patient-focused description of or link to cancer rehabilitation services on their website. Use of a website’s search box and predetermined terms yielded an additional 13 descriptions (21%). Therefore, designers of nearly 70% of the websites evaluated overlooked an opportunity to present a description of cancer rehabilitation services. Moreover, only 8% of the websites included accurate and detailed information that referenced four core rehabilitation services (physiatry and physical, occupational and speech therapy). Further research is needed to confirm the presence of cancer rehabilitation services and evaluate access to these types of services at NCI-Designated Cancer Centers providing clinical care. The authors wish to thank Julie A. Poorman, Ph.D., for her help with manuscript preparation. This research has not been previously published or presented and did not receive any specific grant from funding agencies in the public, commercial, or not-for-profit sectors. None of the authors have disclosures to report. This article does not contain any studies with human participants or animals performed by any of the authors and was deemed exempt from informed consent requirements and institutional review board approval.